I have be practicing retro-walking or backward locomotion lately both to reduce the boredom of conventional walking and for the added health benefits. What I didn’t expect was the unusual analogy to life. When walking forward we see where we are going, like our lives, we watch our future unfold before us. But what I’ve been noticing when walking backward is that along with working some new muscles, I see my life in a different way. I instead of seeing my future appear, I see my past in front of me or would that be behind me? Either way, it was like an analogy of aging. The buildings and people that passed me, were fading away, getting smaller, more distant. Events that have happened, people that I have met getting smaller as they got further and further away. 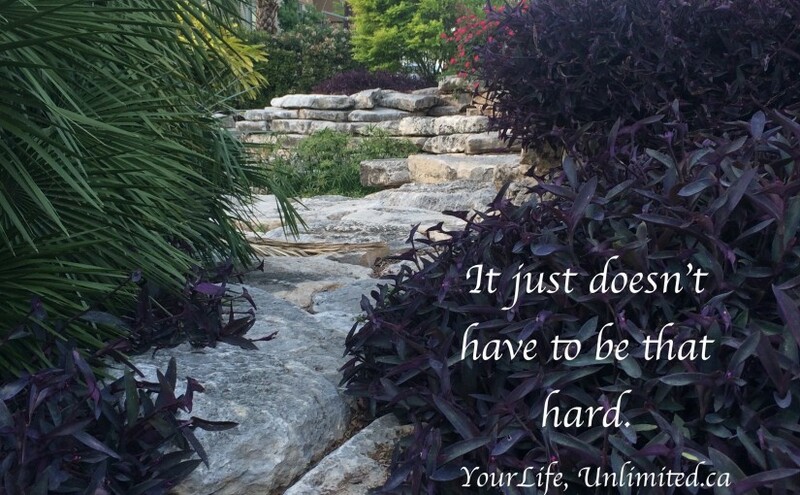 It made me think of moments in our life that seem so huge, like graduation or our weeding day – but with each step (or day) they get further and further way and therefore often less significant. Maybe it’s the same thing with troubles too. They seem so huge and insurmountable at the time, but they too get smaller and smaller when looking at them from that perspective. Asking how important this issue going to be in 3 months, 5 years, 1 decade from now, will help us put our current ‘big thing’ into perspective and give us it’s just one more way to live Your Life, Unlimited! Brenda Bourns & Becky McCrary joined me on Your Life, Unlimited radio show this week. This entry was posted in Blog, Empowerment, Happiness, Success principles and tagged cjob, empowerment, podcast, Stephanie Staples, Your Life Unlimited. Bookmark the permalink.